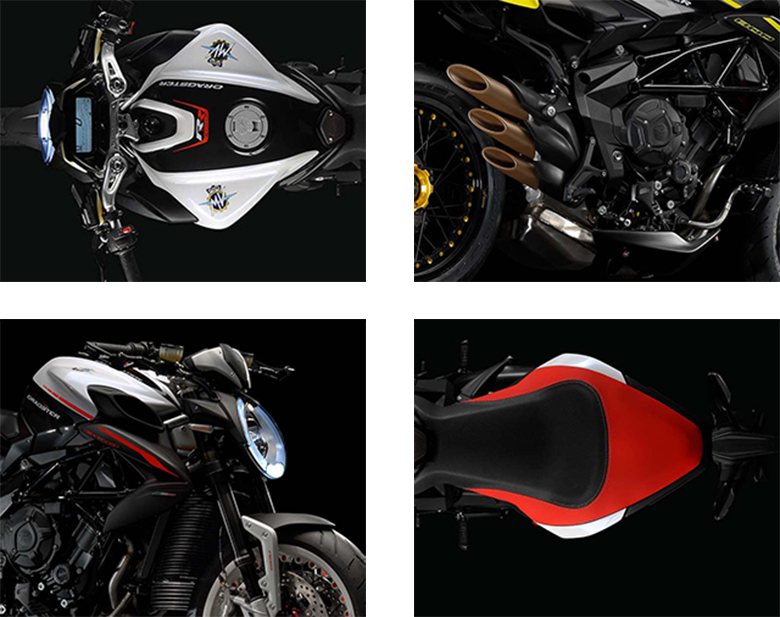 The MV Agusta brand is well-known in the field of sports bikes manufacturing. It manufactures the powerful naked bikes which are capable of delivering superb performance under all conditions. 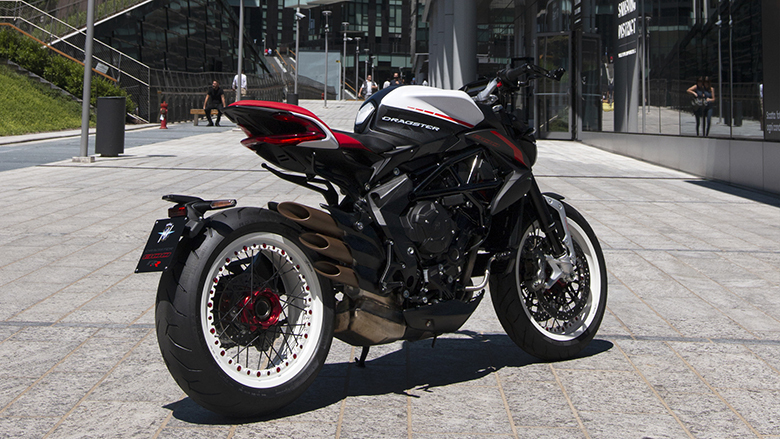 The new 2018 Dragster 800 RR MV Agusta Naked Bike is one of those bikes which is specially designed to rule the world. It features the powerful three-cylinder engine with the latest technology and design. The front fender’s side support is made by aluminum like the tank damper. The headlight features the new integrated light guide, and the tail light has a single unit. The seat frame has been redesigned, and the passenger’s footpegs are now concealed for a cleaner look. This bike is known for its compact, aggressive and stunning look. 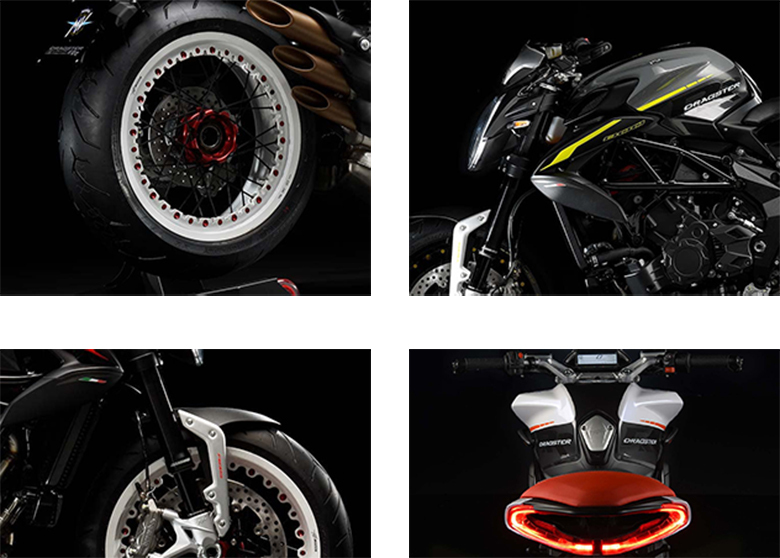 The review of new 2018 Dragster 800 RR, MV Agusta Naked Bike with its specification and pictures, are given below. 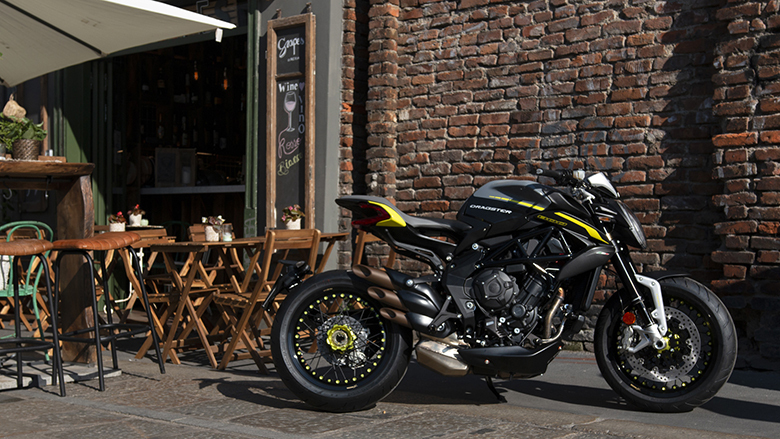 The new 2018 Dragster 800 RR MV Agusta Naked Bike features the three-cylinder engine which was improved to comply with a Euro 4 regulation. This engine has been redesigned to enhance its performance and reliability. The engine’s anchoring point of the frame has been revised as the primary gears, valve guides, and the cam phasing. The gearbox is brand new, and now it requires less force on the lever to engage gears. The new 2018 Dragster 800 RR MV Agusta Naked Bike features the powerful three-cylinder. This engine that can provide the 124 Hp at 13,100 rpm with the maximum torque of 87 Nm at 10,100 RPM. The fluid delivery at the lower revs and an extraordinary acceleration tamed by the rev limiter intervening at 13,200 RPM. The new 2018 Dragster 800 RR MV Agusta Naked Bike features the new MVICS with the full Ride-by-Wire. 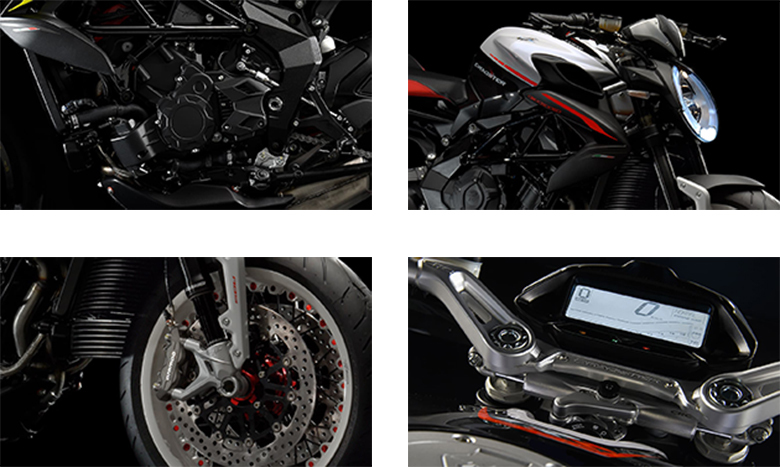 It has an unprecedented mapping which is specially developed for this bike. 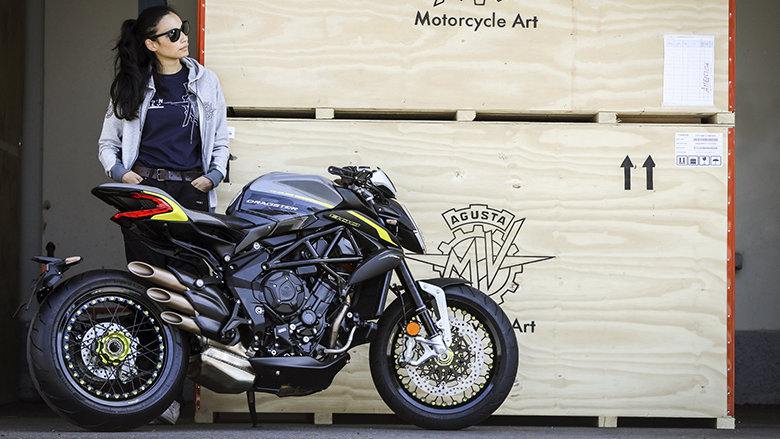 The new traction control is adjustable on eight different levels, and the sophisticated electronic up and down gearbox is mated to the hydraulic slipper clutch like in 2017 MV Agusta Dragster 800 RR Naked Bike. There is an immobilizer with the critical recognition that rounds up the offer. This Naked bike is best known for its ultimate riding pleasure. Its new Bosch 9 Plus features the two channels ABS with the Rear Wheel Lift-up Mitigation like in 2018 MV Agusta Brutale 800 RC Naked Bike. This RLM system gives an outstanding braking action on the front wheel and avoids a rear-wheel lift. Cooling system Cooling with separated liquid and oil radiators. 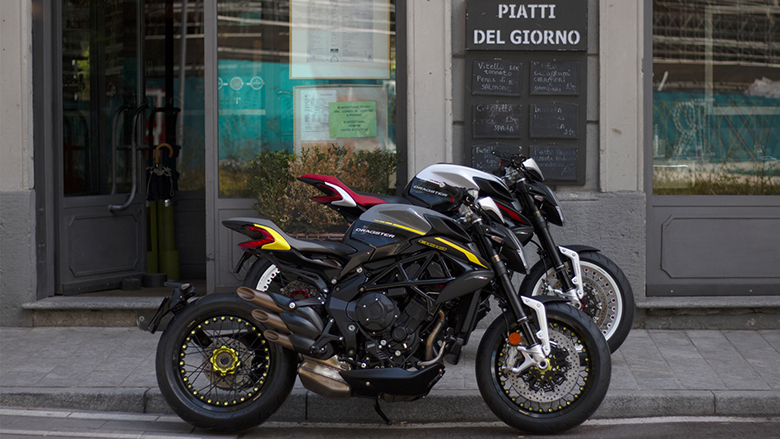 This article is about the review of new 2018 Dragster 800 RR MV Agusta Naked Bike and it is covered under Bikes Catalog. This bike features the powerful three-cylinder engine that has been carefully designed to provide the best performance of all times. The chassis and frame not only provides an aggressive appearance but they also give the sleek appearance. The seat has been designed to ensure that rider will always enjoy an aggressive riding style.